Who realizes this little project gets a device that monitors & displays the current refrigerator temperature, and that logs the time the door was opened and for how long. Alarms can be set on maximum allowed temperature and door-open time. This design is useful for speedy mobile robots and provides fast, contactless detection of obstacles ahead. 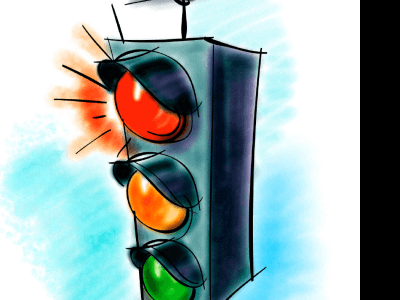 Not only can it detect the obstacle, it also indicates in which direction it is. The project has a liberal sprinkling of both hardware and software sorcery. A hollowed-out pumpkin with a candle in front of the house, children who will come to ‘trick-or-treat’ and beg for candy… Halloween is a festival that is now also increasingly celebrated in Europe. 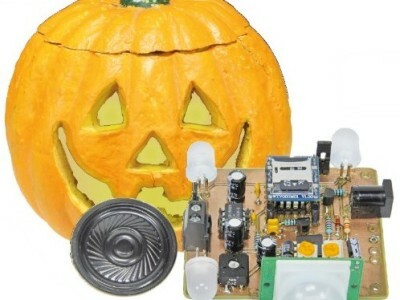 With an eye on the approaching Halloween date, the Elektor lab had the enlightened idea to develop an amusing circuit for pump¬kins, which produces both light and sound effects. 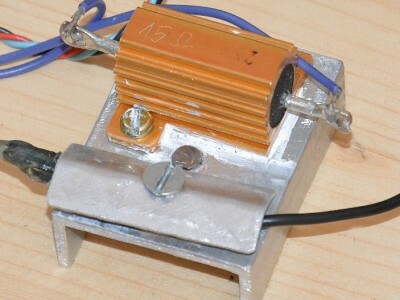 This Arduino-driven fixture enables the essential characteristics of many types of temperature sensor including silicon, PTC, and NTC to be measured for comparing to the factory specs. It also helps you identify a faulty sensor, or match a pair of them. Even in the Internet & Wi-Fi age where it seems irrelevant just where you are at a specific time, it’s sometime useful to know if a visitor called at your door while you were out. Who knows, it might be the DHL man with a delivery of essential components! 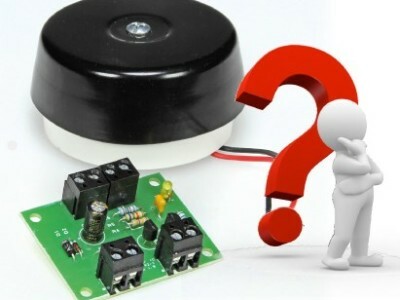 The little circuit described in this article can reassure you that you haven’t missed the postman’s call irrespective of whether he always rings once or twice. The headsets used in light aircraft are subjected to some pretty rough treatment, particularly in flying training: repeated connections and disconnections, involuntary pulling of the wires on the connectors, repeated twisting of the microphone, drops and bumps….. the life of an aircraft headset is pretty difficult! 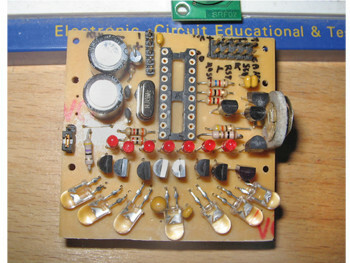 An audio drive indicator, especially with a Hi-Fi installation, can be a very handy instrument to check whether there is any overload present. 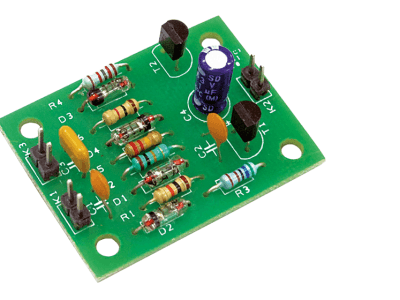 This circuit with three indicator LEDs in the form of a traffic light has an extremely flexible design and is suitable for a wide input voltage range. 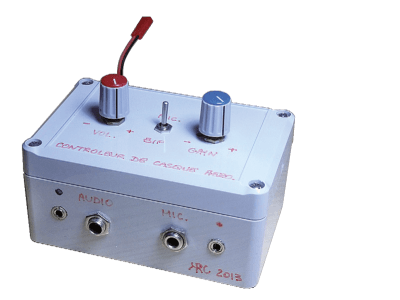 This simple compressor circuit controls the dynamics of a speech signal so that loud sounds are controlled to produce a more intelligible voice signal in noisy environments. This is achieved using a novel control mechanism instead of the more usual feedback loop. 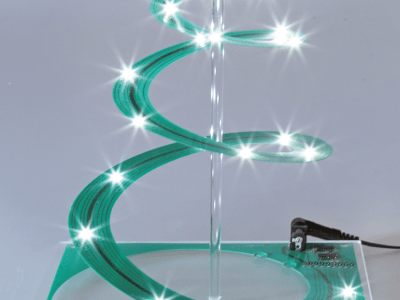 This distinctive variation of a Christmas tree is made from a thin printed circuit board, which is cut in the shape of a spiral. This is then stretched out to create the shape of a Christmas tree. There are 25 white LEDs on the spiral, which are driven by a pseudo- random number generator. 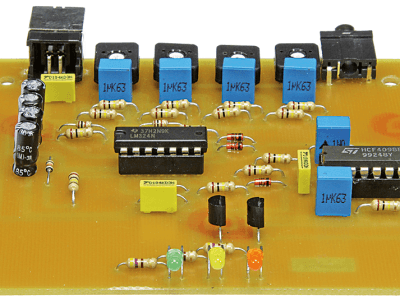 With the help of a quad opamp, a bi-color LED and a few passive components you can quickly build a simple signal level meter which has three detection levels.